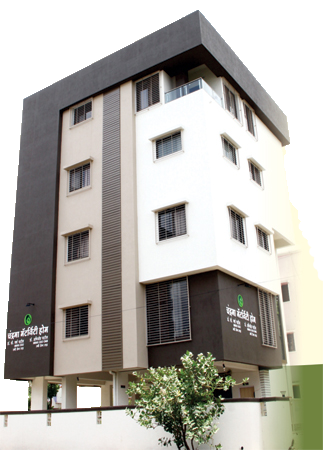 Chandrama Maternity Home is an advanced Laproscopy Center and nursing home established in 2014. It’s located in the Panchwati , heart of Nashik city (Maharashtra). Chandrama Hospital is 15 bedded well equipped hospital. It spreads over 6500 sq.ft with all facilities provided under one roof. The Nursing home is well-ventilated and illuminated to ensure a healthy and refreshing environment for patients and all people working in the nursing home. Chandrama Hospital is headed by Dr. Varsha Patil and Dr. Abhijeet Patil. Both are obstetrician and gynecologist expert in laproscopic surgery and infertility treatment. The hospital is equipped with latest highly advanced equipment and has all diagnostic and treatment facility under one roof. The nursing and paramedical staff is qualified, well trained and professional in patient care. We are dedicated to woman health care.